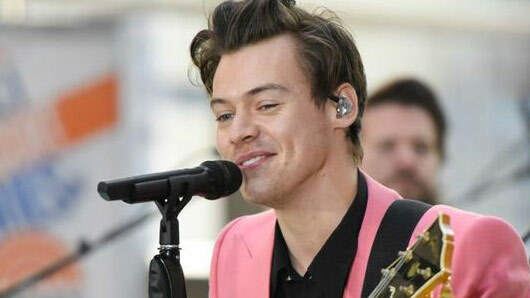 Harry Styles began his week’s tenure on The Late Late Show with James Corden by flirting with a security guard to gain entrance into the CBS studios. In a new sketch, Styles arrives at his home for the next week only to find a rather difficult security guard standing in his way. She refuses to believe he is really Styles and demands to know where the rest of One Direction are. When asked for evidence, Styles pokes fun at his penchant for charming older women by demonstrating one truly smouldering expression. The guard is convinced – and Harry is let into the studio without further ado. However, it’s not a strategy that works in quite the same way for James Corden when he arrives a few minutes later.